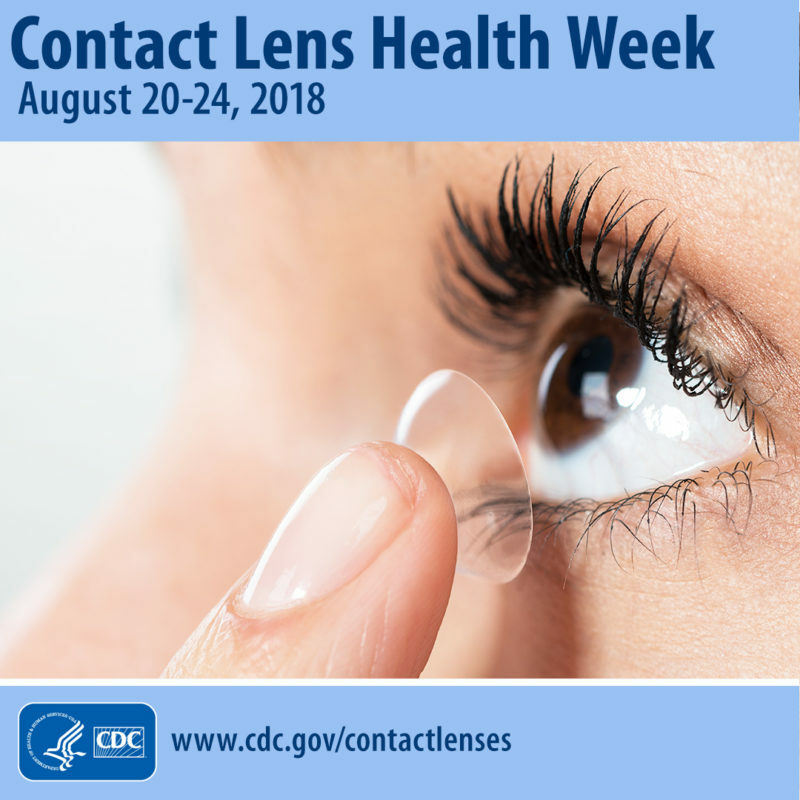 The Centers for Disease Control and Prevention (CDC), in collaboration with partners, is promoting the fifth annual Contact Lens Health Week August 20-24, 2018. This year’s campaign theme is “healthy habits mean healthy eyes” and focuses on encouraging contact lens wearers to practice safe contact lens habits every day. Failure to wear, clean, and store your lenses as directed by your Doctor of Optometry increases the chance of getting germs in your eyes and causing complications. Contact lens-related eye infections can lead to long-lasting damage but often are preventable. Even minor infections can be painful and disrupt day-to-day life. Proper contact lens wear and care habits, supplies, and eye doctor are all essential to keeping eyes healthy. For more information on Contact Lens Health Week, a campaign promotion toolkit, free posters, and other resources for promoting healthy contact lens wear and care throughout the year, visit www.cdc.gov/contactlenses.